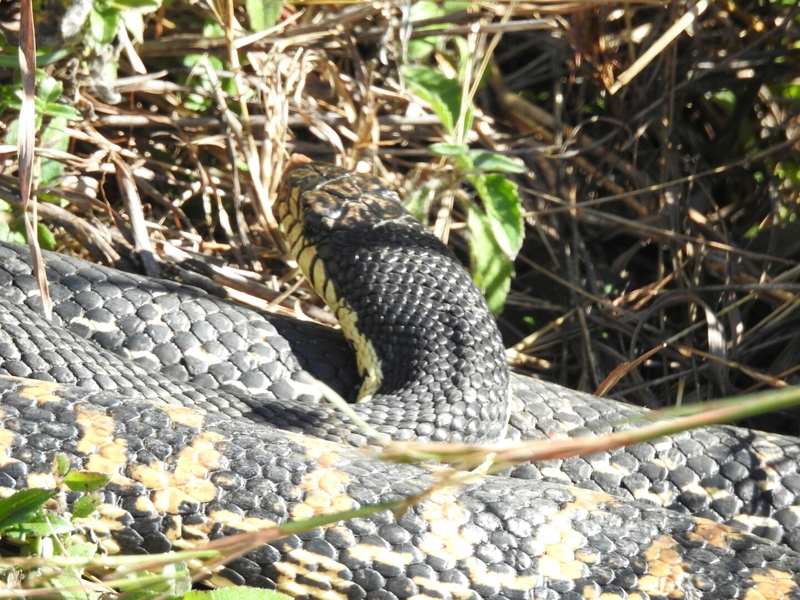 We saw this gorgeous snake on our way into the forest today at Zombitse National Park. Unlike in Africa, where you have to know how to distinguish venomous snakes from non-venomous ones, in Madagascar you never need to worry. All its snakes are non-venomous, so you can ooh and aah over them to your heart’s content. The “hognose” comes from the snake’s upturned nose, which it uses to dig in the dirt, according to Wildlife of Madagascar by Ken Behrens & Keith Barnes. I couldn’t get a good view of the front of the snake’s snout, but if you squint, you might see a lighter brown patch of color at the tip. (It’s easily mistaken for the straw in the background.) That tip is the upturned nose.